1. 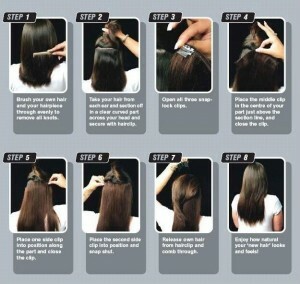 Brush your own hair or your hair wig evenly, remove all knots. 2. 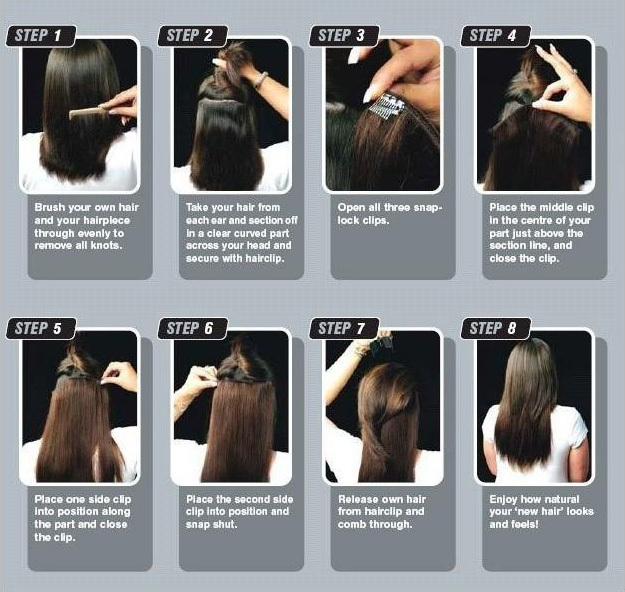 Take your hair from each ear and section off in a clear cured part across your head and secure with hairclips. 3. Open all three snap-lock clips. 4.Place the middle clip in the center of your part just above the section line and close the clip. 5. Place one side clip into position along the part and close the clip. 6.Place the second side clip into position and snap shut. 7. Release own hair from hairclip and comb through. 8. Finished. and the hair looks natural.